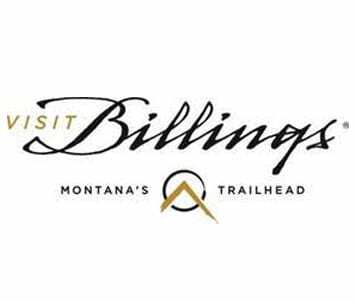 View Sponsor Profile Visit Sponsor Website Welcome to Billings, Montana! Born in the shadows of the Rimrocks, fed on the waters of the Yellowstone River, prepare to experience unparalleled views, vivid sunrises and sunsets, and history around every corner. 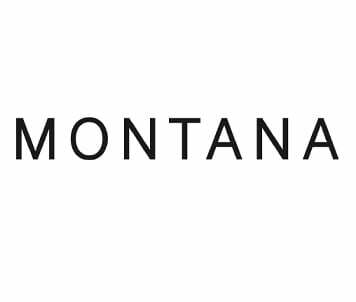 You are heading for a connection with warm, genuine, hardworking people who possess a perspective on life uniquely Montanan and inherently individual. Enjoy historic downtown Billings, busy with shops, galleries, and museums by day, and a nightlife that offers award-winning cuisine along Montana’s only walkable brewery district. This District boasts six breweries, two distilleries, and a cider house. 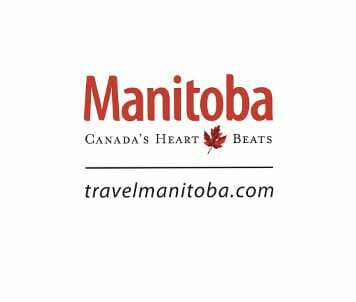 Add the best live music scene in the region and the atmosphere will not disappoint. Discover the old west as you find history and descendants of the west’s greatest heroes around every turn. Walk in the footsteps of Captain William Clark at Pompey’s Pillar, where he carved his name 200 years ago. It’s the only physical evidence of the famed Lewis and Clark Expedition and their journey to discover the west. Just 202 steps to the top of the Pillar to take in 5 mountain ranges and the Yellowstone River. The Yellowstone is the longest free flowing river in the lower 48 states. Stand on hallowed ground as you explore Little Bighorn Battlefield National Monument where General George Custer took his Last Stand against Sitting Bull and the Sioux in 1876. Experience the most scenic drive in America as you drive the Beartooth Highway on your route to Yellowstone National Park. 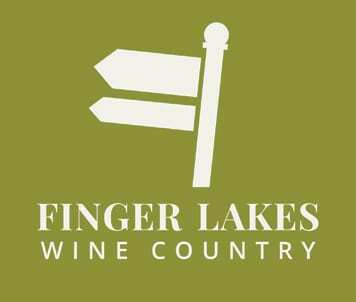 Enjoy truly local flavor, the back roads, and the open spaces in Big Sky Country. View Sponsor Profile Visit Sponsor Website Planning a trip to Big Sky Country? With over 147,000 square miles to explore, it can be tough to know where to start. While Glacier and Yellowstone National Parks are spectacular beyond words, there's more to discover throughout Montana than most people dream. Check out these trip ideas and draw inspiration to create your own unique set of Montana moments. The backdrop to your adventures — mountains and valleys, bears and bison, waterfalls and trout streams — will simply leave you in awe. 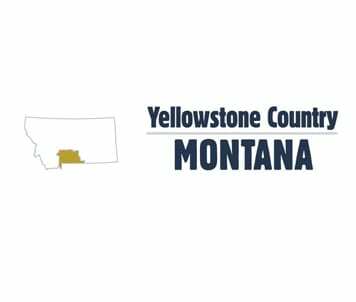 View Sponsor Profile Visit Sponsor Website View Sponsor Profile Visit Sponsor Website YELLOWSTONE COUNTRY The raw splendor of Yellowstone National Park doesn’t stop at the park boundary—it spills on for miles, encompassing an extraordinary part of Montana we call Yellowstone Country. Get away from your getaway and head north to this remarkable place where scenic routes and winding rivers cut through a landscape so unreal you’ll be picking your jaw up off the ground. Small towns in this part of the West are so enchanting you’ll consider whether or not you should start calling one of them home. Travel the Beartooth Highway—called the most scenic drive in the country—hike, fish, bike and backpack in captivating wild country, and soak up the magic in a valley so exquisite they named it Paradise. 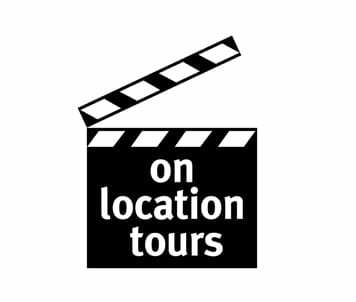 Explore bustling main streets lined with museums, galleries, theaters, breweries, food trucks, fine dining, cafés and coffee shops. Discover the Yellowstone you haven’t seen yet. OUR VISION Big Sky's confluence of nature, culture, people and preservation is so inspiring that one visit makes you want to stay for a lifetime. OUR MISSION As the Big Sky community's official destination marketing and management organization, Visit Big Sky leads the development and promotion of authentic tourism experiences through research and stakeholder collaboration to grow Big Sky's economy while balancing the need to sustain quality of life for its residents. 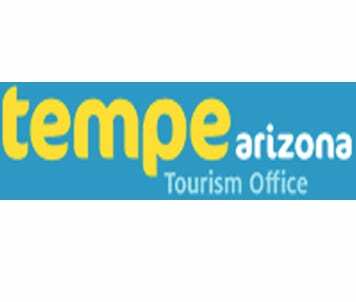 View Sponsor Profile Visit Sponsor Website Kampgrounds of America is where family memories have been made since 1962. KOA campgrounds are great places to relax with family or friends, enjoy the great outdoors, and relax around a campfire. 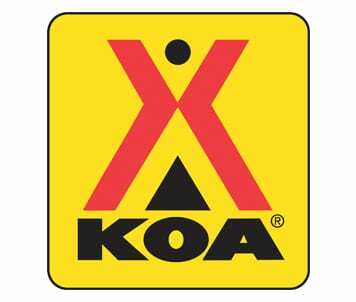 The KOA system includes 517 locations throughout North America, so we are anywhere you want to go. the KOA Family of Campgrounds includes KOA Journeys, KOA Holidays and KOA Resorts, all tailored with the right amenities to provide your family with an ideal outdoor adventure. 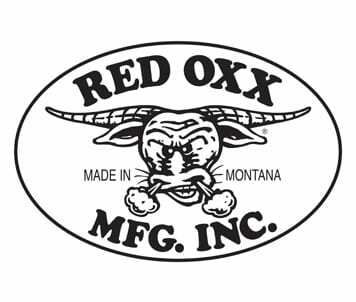 View Sponsor Profile Visit Sponsor Website Our Story THE HISTORY OF RED OXX MANUFACTURING – EST. 1986. HUMBLE ORIGINS – FROM CALF TO OXX. All journeys begin with a first step. For Red Oxx this step was taken by CEO Jim Markel’s veteran father, Jim Senior. After Jim Senior, Capt. Ret. completed his 20 years of military service, including time spent with both the Green Beret in the Army and as a Special Forces Officer in the Marine Corps Recon, he decided to retire here in Billings, Montana. A lifetime around parachutes included tours as a Jump Master, Parachute Rigger and S.F. Team Leader would contribute to the birth of the Oxx. Along the way, he maintained a passion for fitness and decided to create and sell some unique gym workout accessories. Captain Markel’s skills as a Rigger came in handy when creating lifting straps and weight belts. Crafting fitness products one at a time in his home’s basement, Jim Senior set in motion the vehicle that would one day grow into the Red Oxx the world recognizes today. “Back in 1986, our first products were made from military surplus webbing that had been slated for decommissioning.” says Jim Senior. This bootstrapping philosophy was thus genetically coded into the birth of the company. As each new lifting product was introduced and accepted by the local market, it became apparent that sales were fast outstripping the production capability of one man. Time to bring in the number one veteran son Jim Markel Junior, “We were both in the military for a small overlap, then Dad retired. I continued on active service in Marine Corps Recon. After I got out my Dad came down to Colorado and asked me to join him working with his fledgling fitness products company in Billings, Montana.” says Jim Jr.. Father and son then worked together to assemble a variety of sewing production machines. Eventually it was planned to move to a “real” factory location. No more cramped basement now, goodbye to spillover into the garage. The final straw was turning the kitchen range into a webbing cutter with a clever air “vent” in the form of a box fan in the kitchen window. At this point, they were garnering contracts from such notable names in the fitness industry as Weider, Parabody and local lifters Gold’s Gym, to name a few. As the company grew and diversified it was time to make some changes. Jim Senior moved on with other ideas and no longer works for Red Oxx, leaving the company in the capable hands of his son Jim Jr.. It was then that Navy veteran Perry Jones, also former Naval Parachute Rigger, joined the crew as company President. CEO Jim Jr. decided to expand to a line of rifle cases and shooting accessories for the local Montana sportsman market. The first factory and retail store combination was selected for its central location and low overhead. While locating the business in a blighted area was not the original plan, it turned out to be an excellent financial strategy over the long haul. Today, the Red Oxx manufacturing production facility is still located just down the street, now in its eighth location with plenty of room to expand. “Over the years, we’ve stayed connected to the local economy as our business expanded beyond the confines of Montana.” says Jim Jr. (hereby referred to simply as Jim). View Sponsor Profile Visit Sponsor Website Out here, big sky meets big adventure. It’s the kind of place to slow down and fall in love with Montana. It’s the kind of place where cowboys still ride horses across the open plains. It’s the kind of place where traces of dinosaur fossils are just waiting to be discovered because history is ever-present. Out here, you will be welcomed with an abundance of western hospitality. 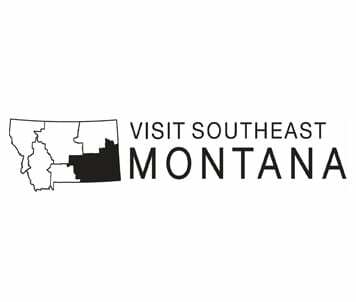 Visit Southeast Montana and take a moment or two to view the horizon from all directions. From Badlands, battlefields and bucking horses to recreation, rocks and rivers, Southeast Montana is an adventure for outdoor lovers, history buffs, fossil finders and eager explorers. Find a new story in the spirit of the Old West. Discover Indian Nations, trace the footsteps of Lewis and Clark and wander sacred fields where storied battles were fought. Check out the best cowboy bar in Montana, dig for dinosaur bones, and make your way through friendly towns where strangers smile and say hello. 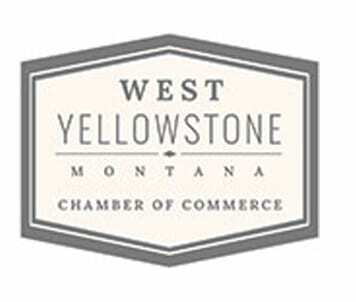 View Sponsor Profile Visit Sponsor Website The raw splendor of Yellowstone National Park doesn’t stop at the park boundary—it spills on for miles, encompassing an extraordinary part of Montana we call Yellowstone Country. Get away from your getaway and head north to this remarkable place where scenic routes and winding rivers cut through a landscape so unreal you’ll be picking your jaw up off the ground. Small towns in this part of the West are so enchanting you’ll consider whether or not you should start calling one of them home. Travel the Beartooth Highway—called the most scenic drive in the country—hike, fish, bike and backpack in captivating wild country, and soak up the magic in a valley so exquisite they named it Paradise. Explore bustling main streets lined with museums, galleries, theaters, breweries, food trucks, fine dining, cafés and coffee shops. Discover the Yellowstone you haven’t seen yet. 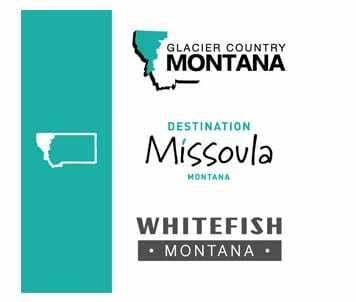 View Sponsor Profile Visit Glacier Website View Sponsor Profile Visit Missoula Website View Sponsor Profile Visit Whitefish Website There’s no denying the charm of Western Montana’s Glacier Country. The quintessential mountain resort town of Whitefish and the hip arts and culture hub of Missoula both offer world-class year-round recreation among jaw-dropping landscapes anchored by Glacier National Park. Robust culinary, art and live music scenes combine with cozy lodging and warm western hospitality to round out the allure of these vibrant destinations. Western Montana’s Glacier Country In Western Montana’s Glacier Country mesmerizing landscapes offer boundless beauty and recreation among some of world’s most charming small towns. Once-in-a-lifetime adventures are found here under impossibly big blue skies. Glacier National Park anchors the region, with 1 million acres of mesmerizing peaks, expansive valleys, 200+ cascading waterfalls and countless glacial lakes, plus one of the most jaw-dropping scenic drives in the country—the Going-to-the-Sun Road. Beyond the park, explore two American Indian reservations, attend a pow wow and immerse yourself in Montana’s heritage. Set sail on Flathead Lake—the largest freshwater lake west of the Mississippi—explore the storybook village of Bigfork and visit a roadside fruit stand for fresh Flathead cherries. Get on or in countless rivers and blue-ribbon trout streams for floating, rafting, stand-up paddleboarding and world-class fly-fishing. This year-round wonderland is epic in winter, too, boasting seven downhill ski areas plus Nordic adventures, sleigh rides, fat biking, dog sledding and skijoring events. Western Montana’s 75+ communities offer authentic local vibes and warm western hospitality and make up the region’s nine scenic travel corridors, gorgeous byways and backroads of discovery. From Glacier Country’s arts and culture hub of Missoula to the quintessential mountain town of Whitefish and the quaint communities in between, adventure is endless. Explore downtown galleries, museums, live theater and music, and some of the West’s best farmers markets. Discover fine dining, food trucks, culinary festivals and coffee shops, plus more than 30 breweries, nine distilleries, nine wineries and four cideries. Channel your inner cowboy at a working guest ranch, live in the lap of luxury at a mountain resort, sleep in a teepee or go rustic in a cabin or tent. Or, soak in the healing mineral waters at a natural hot spring. There’s more to do in Montana than one lifetime affords, and the authentic experiences here are second to none. Destination Missoula There’s this place where solitude, wilderness and adventure are only minutes from gourmet restaurants, funky local shops and a killer music scene. It’s a place surrounded by mountains where trails start at your front door. This place is Missoula, Montana, and it has the unparalleled natural beauty and cultural vibrancy to make your experience unforgettable. Nestled in the Northern Rockies of Montana, surrounded by seven wilderness areas and at the confluence of three rivers, Missoula is an outdoor enthusiast’s dream. On any given day you’ll see anglers gracefully casting in the Clark Fork River. Downstream kayakers and river surfers perform athletic feats atop the man-made Brennan’s Wave. Tubing becomes an alternative form of transportation in the summer as people ride the river right through town. Off the water, they use the trail system that crisscrosses the city, or they cycle the country’s friendliest streets. Missoula is a hive of cultural activities. Its music venues regularly appear on national lists of best places to catch a concert, and you can find a show almost any night of the week. 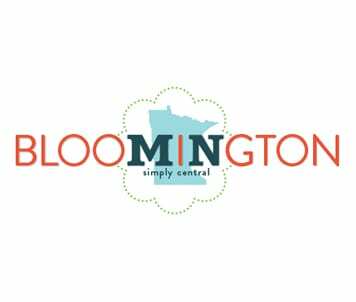 The first Friday of each month is dedicated to celebrating art with downtown galleries and shops welcoming patrons with drinks and appetizers after normal business hours. People seek solitude outside, but they also forge a tight community, coming together while shopping for local produce at farmers markets and attending brew fests that seem to occur every other weekend. Missoula is also a regional destination for shopping and dining, with an abundance of shops, restaurants, cafes, and breweries to fit all budgets and palates. Adventure meets variety in Missoula. 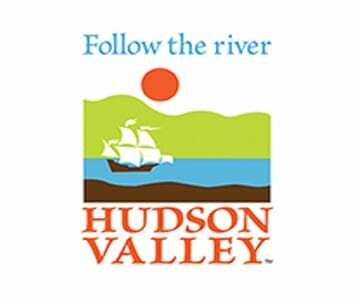 It is a place of small-town values and urban amenities, where you can paddle or hike all day and take in a play or concert in the evening. 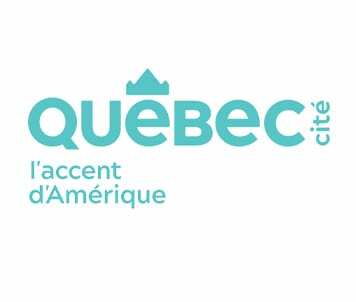 It is a place of mountains and rivers, families and students, art and trails. And it’s time to see this place for yourself. Explore Whitefish Located in the Northern Rocky Mountains of Montana, Whitefish is a small western town with a modern flair, providing close access to some of the most beautiful mountains in the world—the hanging valleys and jagged peaks of Glacier National Park. Each season offers breathtaking opportunities to experience the millions of acres of mountains, forests, lakes, and rivers that surround town in every direction. The people of Whitefish are genuinely friendly and down-to-earth. The town's low-key atmosphere tends to make life in the tight-knit community a happy and warm place to visit. Though you may spot a movie star on occasion, success is measured in terms of how many mountains one has climbed, runs skied or fish caught. The locals are welcoming and willing to share their recreational passions with visitors—freely swapping stories at the local coffeehouses, breweries, and saloons. With its covered sidewalk main street leading to the cultural arts center, historic depot museum and public library, this quaint, picturesque western town offers visitors a change from the fast-paced, hustle and bustle of urban life. Central Avenue is filled with a variety of chef-owned restaurants, unique shopping and lively night life. The culinary and libation scene may surprise even seasoned foodies, with a plethora of ultra-local dining and imbibing experiences around every corner. 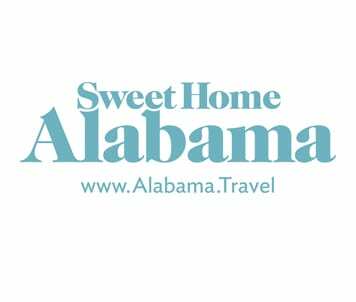 Lodging choices range from full-service resorts to charming inns, rustic but elegant lodges and cabins, as well as condominiums and vacation homes. Sustainability and geo-tourism have become a focus of the Whitefish story, as the community seeks to inspire visitors to take care of the mountain town and special ecosystem, while welcoming travelers from around the world. View Sponsor Profile Visit Sponsor Website Awin is a global affiliate marketing network connecting brands with millions of consumers every day. Operating out of 15 offices, Awin offers localized solutions to 29,500+ advertisers and 200,000+ contributing publishers. 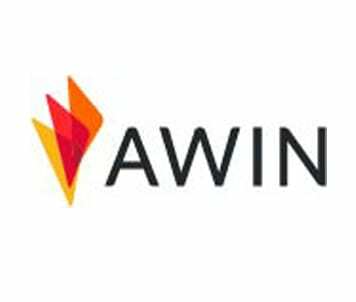 In 2018, Awin generated $18 billion in advertiser revenue and $818 million in publisher commissions. 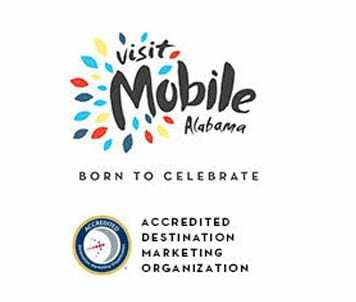 View Sponsor Profile Visit Sponsor Website The Alabama Gulf Coast showcases 32 miles of sugar-white sand beaches and turquoise waters of the Gulf of Mexico, mixing Southern hospitality with an authentic coastal vibe. 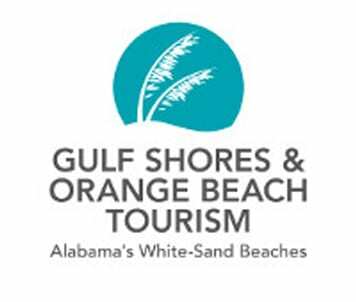 Gulf Shores and Orange Beach offer a family-focused escape for exciting outdoor adventures, thrilling land- and water-based attractions, uncovering history, fishing, golf, and great dining experiences from the ultimate dive joint to cuisine by a James Beard semi-finalist chef. New dive and snorkeling sites, as well as environmental education and sustainability programs, are yet more reasons why “the beach is just the beginning” here! 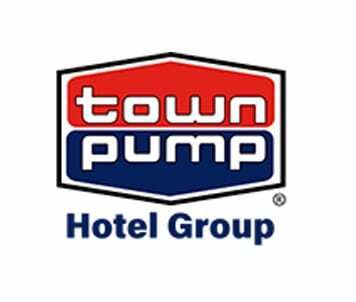 View Sponsor Profile Visit Sponsor Website Ruby Erck believed “Happy employees make happy guests”. We are committed to carrying on this ideal. 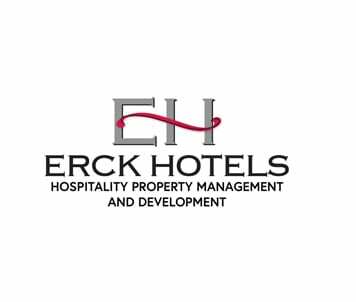 Through corporate support and supervision we boast several employees with more than 20 years of continued employment with Erck Hotels. Many of our guests have returned to stay with us for over 30 years, some have even become investors in our hotels. Click to read more about our hotel operations services. 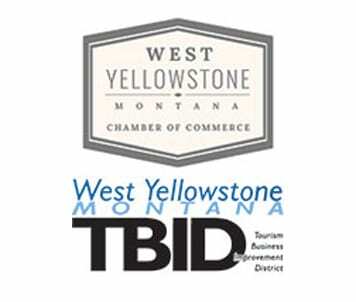 View Sponsor Profile Visit Sponsor Website Yellowstone National Park Lodges is the authorized in-park lodging concessioner in the world’s first national park. 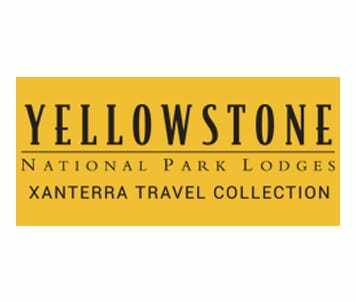 As part of our parent company, Xanterra Travel Collection, we’ve been in Yellowstone since 1980. The Yellowstone operation includes 9 lodging facilities (more than 2,300 rooms/cabins), more than 30 food and beverage operations, gift shops, tours and activities. Accommodations range from new LEED certified lodge buildings at Canyon Lodge & Cabins to National Historic Landmarks, including the Lake Yellowstone Hotel and Old Faithful Inn. Since we were awarded our latest contract in December 2013, been very active in facilities renovations and service enhancements. In fact, by the end of 2019, we will have invested over $200 million toward this effort. A core value of Xanterra is sustainability, and we strive to deliver quality service and products with the least environmental impact. With any facility construction or renovation, our goal is to achieve at least a LEED (US Green Building Council’s Leadership in Energy and Environmental Design) Silver certification. Examples of this effort include: · Teal Employee Residence (Gold) 2018 · Haynes Administration Building (Gold) 2017 · Chittenden, Hayden, Moran, and Rhyolite Lodges (Gold) 2016 · Washburn Lodge (Silver) 2016 · Paintbrush Employee Residence (Platinum) 2015 · Gardiner Employee Housing (Certified) 2004. This was the first LEED project in the state of Montana And who says good food can’t be good for you and the environment? In Yellowstone, each hotel/lodge features a different menu and culinary approach. An emphasis on sustainable cuisine has been welcomed by the millions of guests eating in our restaurants annually. Where possible, Yellowstone National Park Lodges offers menu items - food and drink - that are sustainably, organically and/or locally produced (For Yellowstone, “local” is considered within 500 miles.) In 2018, 60% of food purchases were considered sustainable. Our goal is to achieve 70% sustainable sourcing by 2025. In addition, Lu Harlow, our Director of Food & Beverage, has made it her mission to support local family-owned farms and ranches however possible. Beef, pork, lamb, and produce are increasingly sourced from local producers. 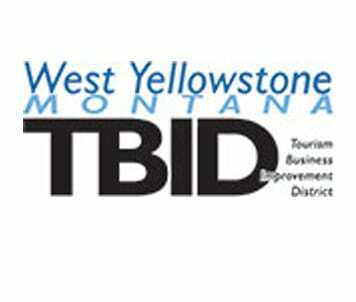 Additional sustainability achievements include: · Green Seal™ Lodging Gold-level Certification of Lake Yellowstone Hotel, 2016 · Yellowstone’s environmental management system has maintained ISO 14001 certification since 2004 · Green Restaurant Association Certification: Mammoth Hotel Dining Room (4-Star level, first in the National Park Service) · In 2018, 54% of all sold waste was recycled or composted (that’s equivalent to 1,485 bull bison, or almost 3 million pounds) · In 2018, more than 65% of gift sales were of sustainably sourced items · In 2018, more than 59% of available gift items were Made in America Xanterra Travel Collection is proud to operate in other national parks as well, including Glacier, Zion, Grand Canyon, Rocky Mountain, and Mount Rushmore. 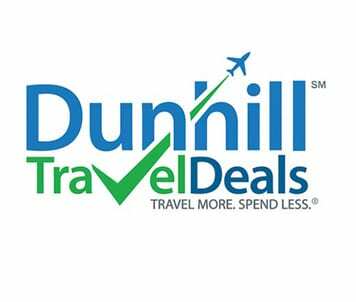 Additionally, the collection includes The Oasis at Death Valley, The Grand Hotel (outside Grand Canyon NP), the Grand Canyon Railway and Hotel, Cedar Creek Lodge (outside Glacier NP) Windstar Cruises, VBT Bicycling and Walking Vacations, Country Walkers, and Holiday Vacations. We invite you to explore Xanterra’s World of Unforgettable Experiences! 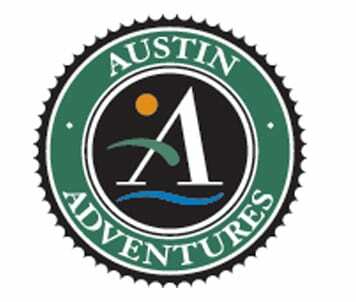 View Sponsor Profile Visit Sponsor Website Why Austin Adventures? Here’s Why. You won’t find any fluffy language or marketing hype here, just honest, straightforward answers to that fundamental question of why us? Our responses are rooted deeply in our ethos — in the mission we’ve honed and honored for the last 35-plus years, which is to create meticulously curated, ultra-personalized adventures that allow our guests to experience a destination in the most immersive, energizing, and inspiring way possible. At Austin Adventures we believe that travel has the power to change us. To let us see the world, and our role in it, through a new lens. To leave us feeling fulfilled, invigorated, transformed. We wear hundreds of hats here in Billings, Montana. But our #1 job, in the end, is to lay the groundwork for this kind of life-changing, expectation-exceeding travel. Your job is simply to soak it all in. 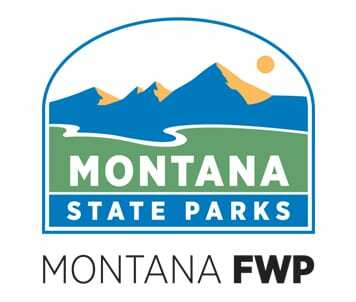 View Sponsor Profile Visit Sponsor Website Montana State Parks has been managing Montana’s recreational, cultural and historical landscape for 80 years through its 55 parks and 7 National Historic Landmarks. 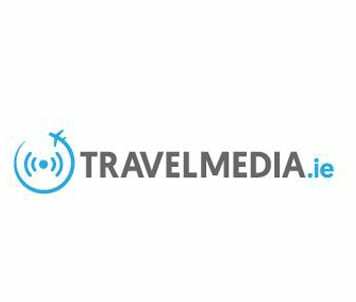 View Sponsor Profile Visit Sponsor Website TravelMedia.ie is a travel specialist full service PR, marketing, SEO, events, communications, content marketing and representation company, founded in 2006, and managed by Michael Collins. TravelMedia.ie is one of Europe’s leading travel media companies – specialising in PR, events, media buying, strategic advice, industry consultancy, digital communications and social media within the travel industry for both trade and consumer – delivering measurable results for our clients. 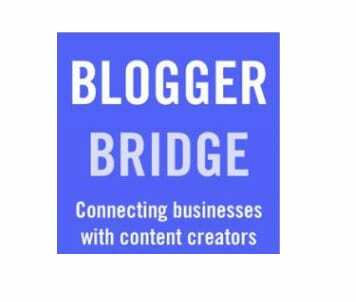 View Sponsor Profile Visit Sponsor Website Take a step back into life as it used to be. 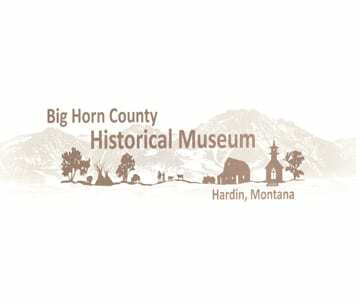 The Big Horn County Historical Museum opened in 1979, on a 22 acre farm located east of Hardin, which includes the original farmhouse and barn. Through the years 24 authentic historic structures from throughout the county have been saved and moved to the site. Each building features exhibits that represent that era. Other exhibit buildings have been constructed on site to store horse drawn equipment, an extensive collection of restored tractors, farm equipment and automobiles. In 2012 the museum grounds expanded to 35 acres and a new museum building was constructed. The new facility features a gallery, gift shop, research library, archives, visitor center and offices. 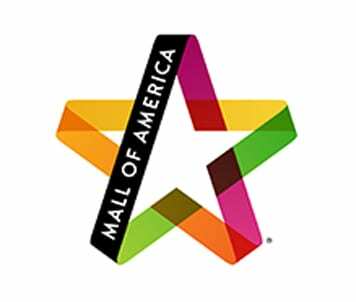 Exhibits in the gallery include: Fort Custer on the Big Horn, Plains Indians, Will James, J.H. Sharp, Missionaries on the Reservation and a Millenary Shop. Our complex continues to develop and guests will see the latest restoration efforts as they tour the museum. The museum has become a focal point for our area’s rich culture and provides facilities for community gatherings and educational experiences. A large parking lot makes it easy for RV parking. We encourage you to be our guest!